A new report from the Canadian Centre for Policy Alternatives says there has been a 30 per cent decline in publicly funded home support between 2001 and 2016. A new report from the Canadian Centre for Policy Alternatives says it's getting increasingly harder for B.C. seniors to access publicly funded home support and community care — something it says is associated with a decrease in quality care. Report author Andrew Longhurst says there has been a 30 per cent decline in access between 2001 and 2016 for publicly-funded home support, and a 20 per cent decline in access to publicly-funded residential care and assisted living spaces. "Provincial health-care spending per person is not keeping pace with meeting the needs of our growing population, especially seniors," he said. At the same time, the number of private, for-profit facilities is increasing. "On a per capita basis, access is declining relative to the population 75 and over," he explained. "But there has been a 42 per cent increase in for-profit beds in for-profit facilities [from 2001 to 2016]." Longhurst said investing in private health-care providers is not a solution. "When we look at large studies that look at thousands of facilities, what we see when we analyze the data is that for-profit care tends to be inferior to care provided by public health authorities and non-profit organizations." 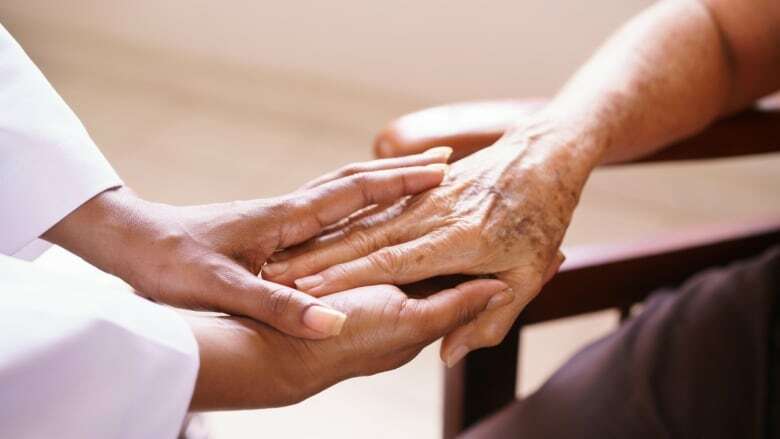 For-profit residential care facilities increase profits by keeping staffing levels and wages low, he said, which negatively affects the quality of care that seniors receive. Furthermore, he said, many of these facilities don't meet the minimum care requirements outlined by the province — 3.36 hours of care per resident per day. Daniel Fontaine with B.C. 's Care Providers Association — which represents non-government health-care providers — says the report is "misleading." "We have an amazing system that has a mix of both public and private," he said. "We should be celebrating the fact that we have this mixed system." Fontaine said the report fails to mention for-profit care providers are directly contracted with the health authority to provide a certain number of hours. "It's not something that the private care provider suddenly decides out of the air that it's going to provide 2.8 direct care hours per day," he said. "To make a claim that the providers are providing inferior care because they're not funded at the same level as health-authority-owned-and-operated [care], to me, is intellectually dishonest." Fontain also pointed out the government's newly announced $500 million investment for seniors' care will help all providers meet the provincial care standards.